Properties: Iridium has a melting point of 2410°C, boiling point of 4130°C, specific gravity of 22.42 (17°C), and valence of 3 or 4. A member of the platinum family, iridium is white like platinum, but with a slight yellowish cast. The metal is very hard and brittle and is the most corrosion resistant metal known. Iridium is not attacked by acids or aqua regia, but it is attacked by molten salts, including NaCl and NaCN. Either iridium or osmium is the densest known element, but the data do not allow for selection between the two. Uses: The metal is used for hardening platinum. It is used in crucibles and other applications requiring high temperatures. Iridium is combined with osmium to form an alloy used in compass bearings and for tipping pens. 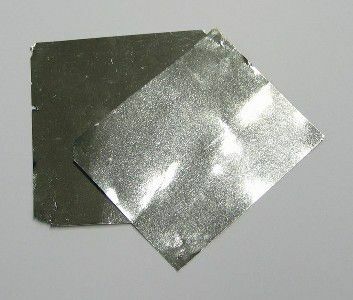 Iridium is also used for electrical contacts and in the jewelry industry. Sources: Iridium occurs in nature uncombined or with platinum and other related metals in alluvial deposits. It is recovered as a by-product from the nickel mining industry.